Kids and ear infections (Otitis media) go hand in hand, right? If you’re a mom, you probably feel this this is true. About 90% of children have otitis media at some time before school age. More than 60% of kids have it before 2 years old. 30% to 40% of children have recurrent ear infections lasting for 3 months, with 10% lasting as long as 1 year. Kids’ ear infections are the most reason that children land in the doctor’s office. So your kiddo has probably had at least one. Likely more. And you’ve probably been told that s/he needs antibiotics at least once. I know many of you have struggled with whether to give those antibiotics – ‘cause so many of you natural mommas contact me for information on alternatives. And I’m not gonna’ disappoint! This article will teach you how to prevent Otitis media in your kids; in another article, Natural Remedies for Kids’ Ear infections I show you how to treat ear infections in children, when possible, without antibiotics. In spite of the stats, ear infections do not have to be an inevitable fact of childhood. And when they do occur, antibiotics are generally unnecessary. Rates of Otitis media have been on the rise in the past decade, concurrent with increases in childhood allergies and asthma. Likely this is due to a combination of factors including environmental exposures, poor nutrition, and stress, among others. With this, there has been an estimated 45% rise in antibiotic prescribing for ear infections, at least half of which, if not more, is completely unnecessary according to several authoritative medical reviews, as well as the Centers for Disease Control and Prevention. At this point you might be asking – so what’s the big deal if my kid gets a lot of ear infections? And what’s the problem with antibiotics, anyway. Recurrent ear infections mean that the immune system is not adequately ramping up to fight infection – so they are telling you that your child needs more nutritional support for optimal immunity. Additionally, they are painful, can lead to scarring of the eardrum, and cause missed days of school and work for your family. 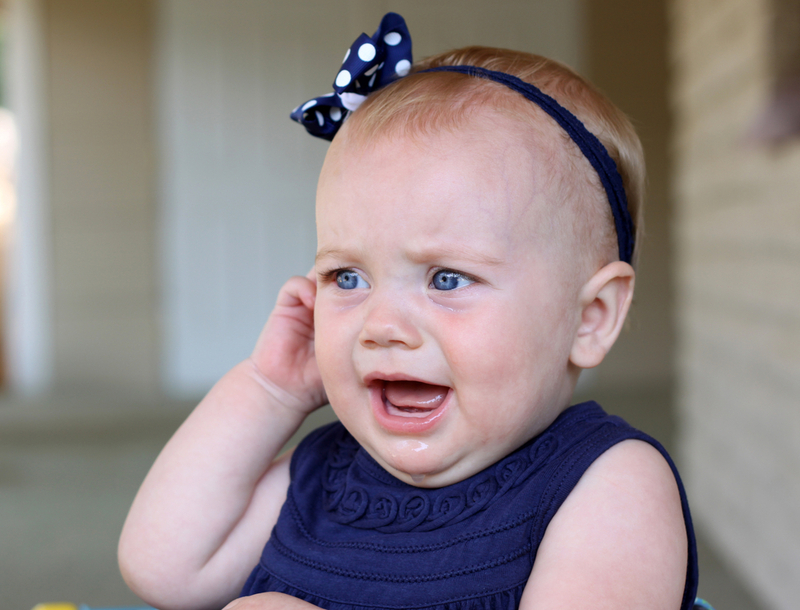 In fact, ear infections occur at a national annual price tag of about $4 billion! Even a single course of antibiotics for ear infections in young children increases the risk of immediate side-effects, as well as the longer-term risks of developing irritable bowel disease (this includes Crohn’s disease and ulcerative colitis), asthma, and possibly even obesity later in life, according to recent data. Antibiotic resistance has become a global health crisis. In overusing antibiotics for the unnecessary treatment of common illnesses, including ear infections, we have unwittingly made ourselves life threateningly susceptible to infections with bugs that the antibiotics will no longer kill. New antibiotics don’t get discovered in the lab everyday so we are becoming increasingly limited in our ability to fight serious infections. Here are 6 sure fire tips for preventing ear infections in your kids – but you’ve got to really do them for them to work! 2. Breastfeed: Breastfed babies are at least half as likely as their formula-fed cohorts to get ear infections. So please breastfeed. Breastfeeding through at least age 1 year old also allows you to avoid the problem of deciding what beverage to give your baby! Whether you breastfeed or give your child a bottle, keep her head at a 45 degree upright angle while feeding rather than nursing or feeding her on her side. This prevents milk from getting from the back of the throat up into the immature eustachian tubes where it can be a site for infection. This is more of a risk with cow milk and formula feeding. As an aside, pacifier use increases ear infection risk – for this and other reasons, I generally recommend avoiding their use. 3. Avoid juice and dairy: Kids who drink a lot of juice and dairy products get more ear infections. They encourage the production of a lot of mucus in the upper respiratory system, while the sugar in them depresses immune function. This can lead to congestion in the chest and ears, a ripe situation for an ear infection, and a decreased ability to fight it off. Kids should not drink juice – ever – as a regular part of the diet. Regular is anything more than a cup as a treat maybe once every few months. Seriously. Milk – and dairy in general – is a problem, too, though harder to get away from with toddlers. Water is the best beverage for kids. No soda. EVER. 4. Use Nutrition to Bolster Immunity: A healthy, optimally functioning immune system requires nutritional building blocks including protein, good quality fats, and plenty of important vitamins and minerals. I know feeding kids well – and getting them to eat well – are two totally different things! Kids can be picky and kids also get more than just what we give them – at school, friend’s homes, birthday parties, etc. We’ve got to just do our best to provide them with healthy options, and some simple basic supplements to make up for what might be missing. Provide a good quality protein at each meal – meat or vegetarian – and good quality fats including olive oil, walnut oil, coconut oil, and avocado at least twice daily. Nuts and seeds are also protein-rich and contain high quality fats. Vegetables should be served at least twice daily, and can be part of a snack in the form of raw veggie sticks, for example, and leafy greens including kale, collards, and broccoli are nutritional treasure troves. Fruits can be part of the meal or snack. I tend to recommend fruits in season, avoiding tropical fruits in the cold weather months, and being more liberal in the summer. Completely avoid processed and “junk” foods, and even avoid heavily processed natural foods like soy foods that imitate common dairy and meat foods. Also, keep sweets to a minimum, even natural ones. Supplements can also help: Include a kid’s multivitamin with zinc, make sure your child is getting vitamin D (400-800 units of D3 daily) and a probiotic daily for prevention. 5. Don’t smoke and minimize wood smoke exposure: Exposure to tobacco smoke, and even the residue of tobacco smoke on a caregiver’s clothes, dramatically increases the risk of your child getting ear infections. Ditto on using wood stoves for heat – it’s an affordable and cozy way to warm your house – but wood smoke exposure significantly increases the rates of upper respiratory infection in kids, including ear infections. 6. Address stress: Even little kids can experience stress, and school-aged children are commonly exposed whether from social pressures, bullying, work pressures, or home life stressors. Sleep is an important part of managing stress and keeping the immune system healthy. Teaching your child to manage stress from a young age is as important as tying shoelaces and more relevant than knowing when Christopher Columbus sailed the ocean blue. Stress has a direct impact on the immune system. In fact, the nervous and immune systems are interconnected. Teaching your child a simple technique such as saying “I am” on an long inhale and “at peace” on a long exhale, repeated 5 times before sleep, or during any stressful time, can be a lifelong gift. When there is more stress going on, and recurrent infection, counseling can be helpful. Following the above tips will not only help to prevent ear infections, but will set the stage for your child’s lifelong immune wellness! Garlic Lemonade: Finely mince 2 cloves of fresh garlic and place them in a 1-quart mason jar. Fill the jar with boiling water and cover for 30 minutes. Strain out the garlic, and to the liquid add the juice of 1 whole lemon. Sweeten to taste with honey. Give warm, and offer as much as the child can drink. For babies under 1, use maple syrup instead of honey. Do not give to babies under 6 months old. Elderberry-Echinacea Syrup: Combine equal parts of elderberry syrup and echinacea glycerite (available at Whole Foods or online from companies including Herb Pharm, Gaia Herbs, and Planetary Formulas). Give 1/2 tsp – 1 tsp daily for children under 1 year old, and up to 1 tbs daily for kids over 7 yo, with a dose somewhere in between for kids 1-7 years old. Herbal Steams: Place 7 drops of thyme essential oil onto a washcloth. Toss this under the stream of very hot water in the bathroom shower. Close the bathroom door and let the bathroom fill up with hot steam. Take your little one in there for about 5 minutes – not in the shower, just in the steamy bathroom. Repeat twice daily. Hersch A, et al. 2011, Antibiotic Prescribing in Ambulatory Pediatrics in the United States Pediatrics 128:6. Kummeling, I et al. 2007, Early Life Exposure to Antibiotics and the Subsequent Development of Eczema, Wheeze, and Allergic Sensitization in the First 2 Years of Life: The KOALA Birth Cohort Study. Pediatrics 119: e225. McCormick, David P, et al. 2005, Nonsevere Acute Otitis Media: A Clinical Trial Comparing Outcomes of Watchful Waiting Versus Immediate Antibiotic Treatment. Pediatrics 115:1455–1465. Plasschaert Astrid I.O. 2006, Trends in Doctor Consultations,Antibiotic Prescription, and Specialist Referrals for Otitis Media in Children: 1995–2003 Pediatrics 117:1879. Work Group on Breastfeeding 1997, Breastfeeding and the Use of Human Milk. Pediatrics 100;1035 DOI: 10.1542/peds.100.6.1035. I love these tips, thank you Aviva! My little one (almost 1 yo) is breastfed and takes a bottle of raw milk at night only, and is prone to ear infections...I'm wanting to substitute the milk for something....but what? How about unsweetened almond milk? Is that ok for a 1yo? Thanks!! I had similar issues and the doctors were clueless and treated the problem locally. Then digestive problems appeared which led me to think that something else must cause this. And sure it was the stomach! Had to change the diet in my older since tonsilitis was present too. This may help http://www.psoriasisdietplan.com/2015/08/burning-ears-and-infections-caused-by-leaking-stomach-acid/ Sorry for my english. Thanks so much for the tips! Also, I loved the video format. Thanks for all you do. My 16month-old recently had an ear infection and the virus Roseola and the only way he was able to tell us was by having a febrile seizure. I have NEVER been more scared! He eats fairly well although I admit he could eat more veggies, he doesn't drink milk or juice, gets probiotics and is now taking Nordic Naturals omega and Nordic Berries multi-vit. He is not stressed, very healthy, super social, goes to daycare and is super happy 99% of the time. I share this because there sometimes are no signs/symptoms and I felt such extreme mommy guilt for weeks after. I had to really work to help my heart know there simply was no way of knowing my son was that ill or a way to prevent him from either of these icky things (maybe a blog post for another day Dr. Aviva ;-)!). This post is extremely insightful and helpful to those who want to treat illnesses their babies naturally, but are not sure where to start or how. I appreciate the guidance and look forward to even more! Hi Liz, Febrile seizures are super common in babies. The fish oil and multi is a great idea. If he has more, do check in with his doc to for a full workup. They are super scary to see! It's nothing you've done wrong at all!!!! Wow I'm going through same issue with my 25 month old he has had 6 funeral seizures 1 was from roseola virus at 15 months and rest ear infection and every time was given antibiotics which I don't like especially he is so young! This article really helped brought to my attention his pacifer and milk will try to change to almond milk. This is his 6th seizure and till this day it scares me never gets easier! I really hope this works! Maria, if you're almost 1 yo is breastfed then why not substitute the cow's milk with breast milk? Also, meant to add that craniosacral therapy can be very helpful for little ones prone to ear infections as it helps to adjust the alignment of the cranial bones (which can affect the drainage of the eustachian tubes) -- look for someone with experience in pediatric craniosacral therapy. Hi, Thank you! One question: elderberry syrup is often made with honey. Is this ok to give younger than one year olds because it has been heated? Also, I am wondering what your reccomendations are for vit d and iron supplementation in breastfed babies who are under a year old? In gratitude! Aviva, do you mind answering my question above? (the first one, about giving unsweetened almond milk to a 1yo.) My ped is useless for any alternative anything, and he will tell me to use formula, which I don't want to do. Baby eats solids as well and has no allergies. Sorry to bug, and thanks! I don't know who else to ask! Hi Maria, Not sure where my answer - or your question went! But I sent one back to you and both have disappeared. Likely I pressed delete instead of publish - so sorry. Anyway, unsweetened almond milk, if I recall what you were asking me -is ok if it is fortified with calcium and vitamin D - if not you'll want to make sure your little one is getting what he needs. If he's getting all of his nutrition from food, then water is absolutely the only beverage i recommend for kids. My 3 yearold granddaughter has had one bout after the other of sinus and ear infections.Her Dr. always wants to give her an antibiotic and I'm worried that it might be affecting her immune system. I'm going to try all your suggestions. I'll take all the help we can get. Thank you for all yor help. so happy to read this! My son is breastfeeding (almost a year old) and I felt frantic about trying to figure out what milk/dairy source I need to get him when we stop nursing. Thank you! Thank you for all your great advice! My 18 mos old just had his first ear infection so I am very interested in learning how to prevent them in the future. I have eliminated cow's milk from his diet and am wondering what your opinion is of oat milk. I would like to start making my own. And I am also wondering if you can recommend a good way to give him zinc next time he appears to have a cold. Is the zinc in his multi sufficient or should I increase it to get rid of his cold? If I should increase it, is there a certain product you could recommend that is appropriate for babies? Thanks so much! I'm also wondering what nuts and seeds you recommend giving to an 18 mos old and in what form (i.e., alone, ground and added to food, chopped, etc)? Thanks again! As long as they aren't triggering ear infections, and you're using unsweetened almond milk -- sounds good! Thank you for this information. Looks like I do 5/6 of the above suggestions for both my kids, and we still continue to battle infections repeatedly. I'm looking forward to trying your recipes and crossing fingers that is the piece I'm missing! I do wonder, what natural remedies you might suggest for treating the infection or helping the fluid drain once it's there. Any ideas? Kind thanks. Chiropractic care from a trained pediatric chiropractor ... preferably one that also incorporates cranial work is a really great option to help with drainage and if it's something you haven't tried ... may be the missing link :) More info and research and where to find a doctor at www.icpa4kids.org! Hi Aviva, My 10 month old appears to have his second ear infection (I'm taking him to the doctor to confirm). He is exclusively breast fed and have just started to introduce solids which have been limited to meat, vegetables and fruit (no dairy and limited grains). What can I do to treat his ear infection should that be what's wrong with him? Hi Aviva, I have a 13 month old daughter and she has had febrile convulsions twice in the last 3 months due to ear infections. Your page was an interesting read but I am a bit confused regarding dairy avoidance. We are vegetarians so if milk is excluded from the diet will my kid get enough nutrition? Should probiotic youghurt and cheese sticks also be avoided. She likes them a lot though. Are formula toddler milk also considered as dairy or is it just cows milk. Sorry if my queries sound very basic but your advice would be very helpful. My baby had his first ear infection at 2 months. He is now 4 months with another. The dr said it looked a littler redder than he would like and gave precription for an antibiotic. I've been using garlic oil in his ears for two days and his fussiness has declined. Should i keep with the natural remedies and hold off on the antibiotic. I hate to give it to him again with him being so young. He is exclusively breastfed and never around smoke. Is it necessary for baby under 6 months to have antibiotics? Hello, How much vitamin D can I give my daughter who is two? Hi Aviva, My son has had a total of now 3 ear infections and he is 15 months old. Not consecutive but in total. I took him to the pedi and she thinks it might have to do with dairy. He loves milk, cheese, and yogurt and is drinking whole milk. She recommended to give almond milk rather than whole to see if it could be an allergy. I'm a bit worried because for all three infections he has had to take antibiotics. I read above about the natural remedies and look forward to trying it. Now he has congestion again and don't know what else to do. He is in daycare and I use a humidifier every night. Your help is greatly appreciated! Hi Aviva! Loved listening to this podcast--soooo informative! I was wondering if you have a recommendation for a multi-vitamin with zinc?